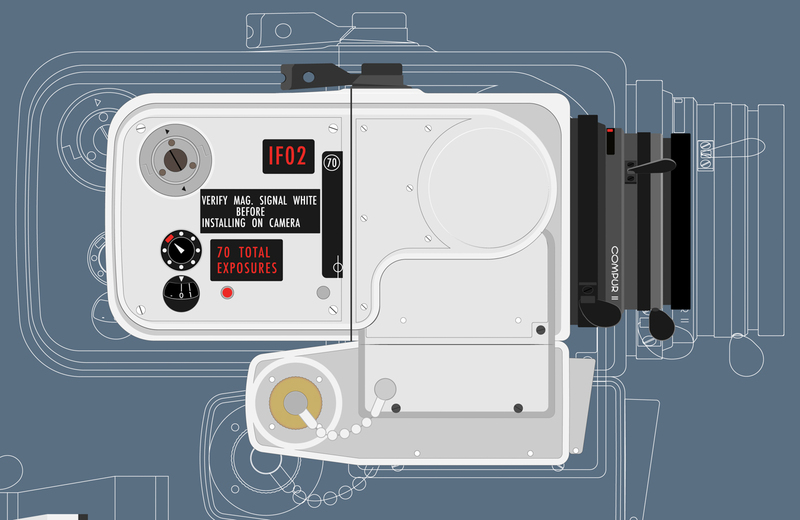 The Hasselblad 500EL was first used on Apollo VIII in 1969 and continued to be used until Apollo 11. With a lunar EVA planned, the 500EL had to be modified for use in a complete vacuum and to be easily handled by astronauts wearing thick suits that impair their dexterity. 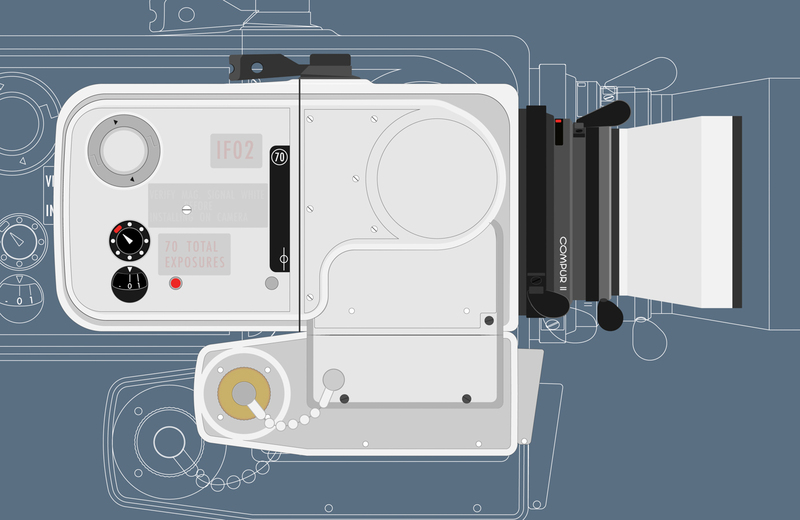 Thus the 500EL Data Camera (500EDC) was created. It was fitted with a Reseau plate that incorporates a special system for dissipating the static charge from the film, as well as custom a Zeiss Biogon 60mm ƒ/5.6 lens. This illustration references the only 500EDC that returned to earth, no.1038. Every other 500EDC was left behind to save weight.